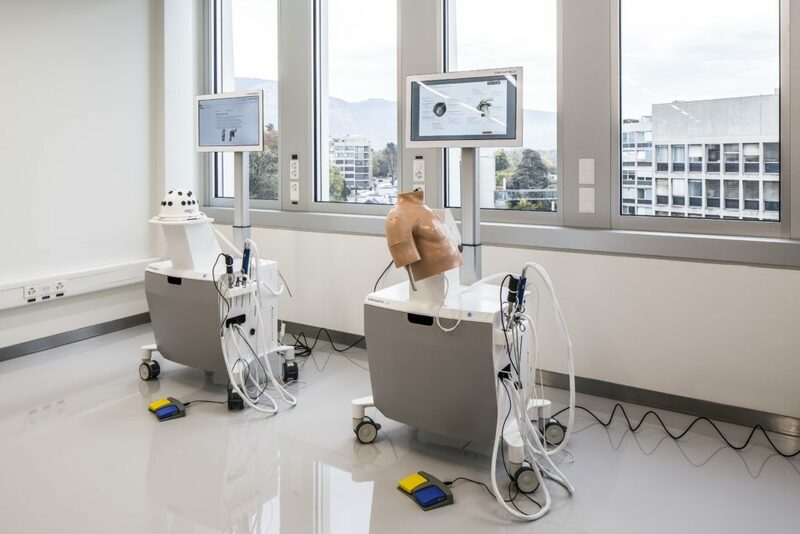 Our ultra-modern facility spans over 1’800 square meters on the 7th and 8th floor of a luminous building in the heart of Geneva, Switzerland. 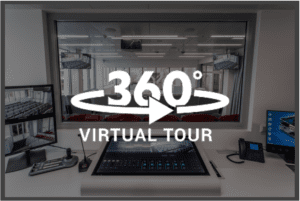 Our recording studio is fully equipped to record and edit your theoritical courses. 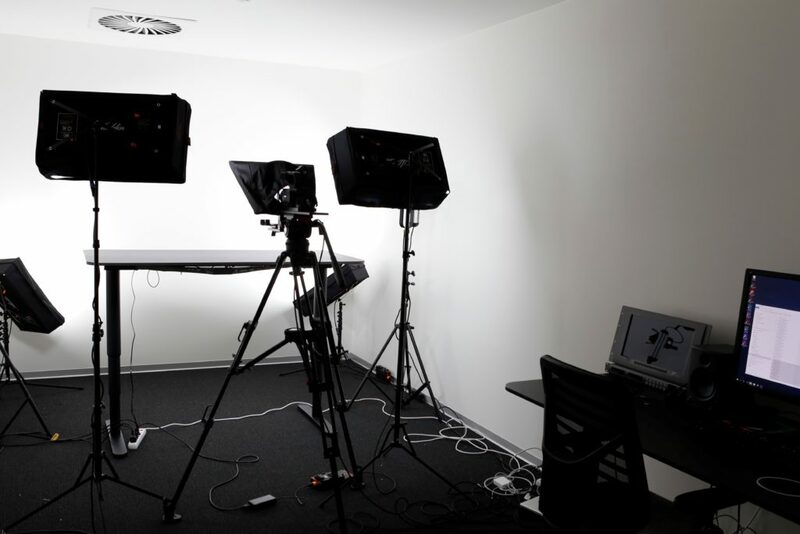 You can also record your practical courses performed throughout our center, via our high-performance audiovisual system. Videos can then be edited in our studio. Ask us about our video recording/editing capabilities! 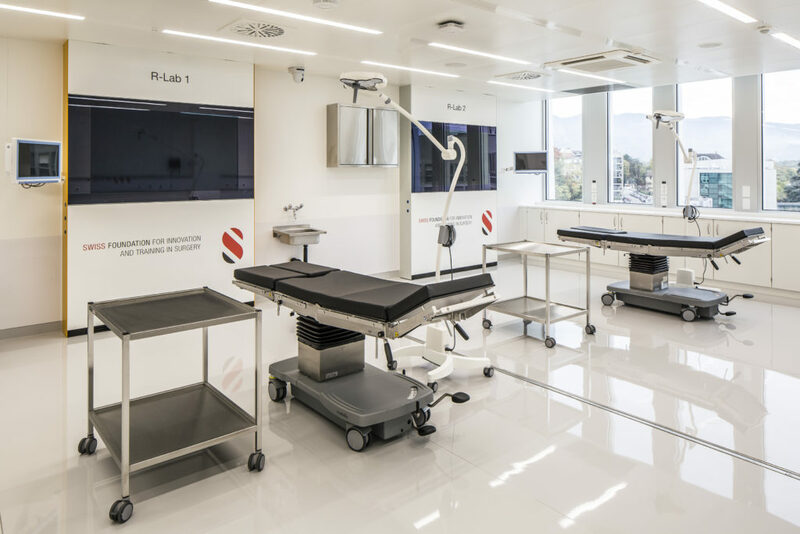 Our Simulation Lab (or S-Lab) is dedicated to surgical simulators integrating virtual reality such as Virtamed, Simbionix, Medability… Learners can practice techniques on very realistic simulation cases, going through complications and complex situations that could occur during real interventions. 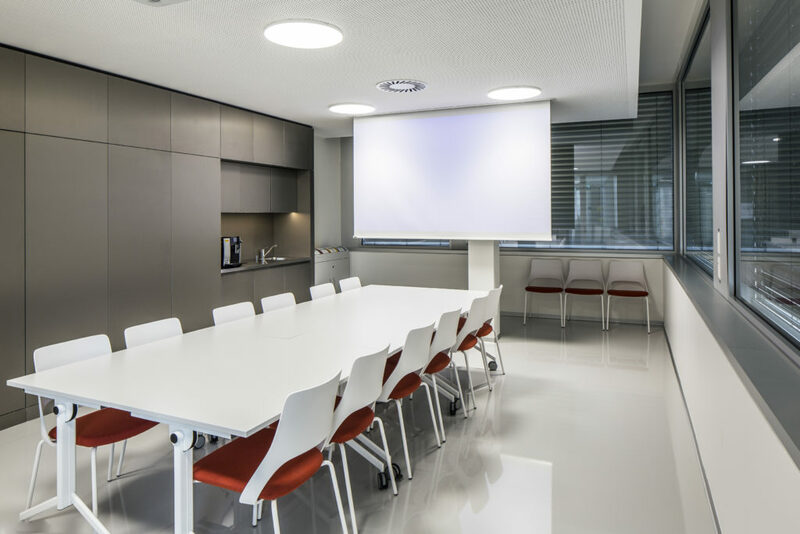 The room is accessible anytime on regular business hours. 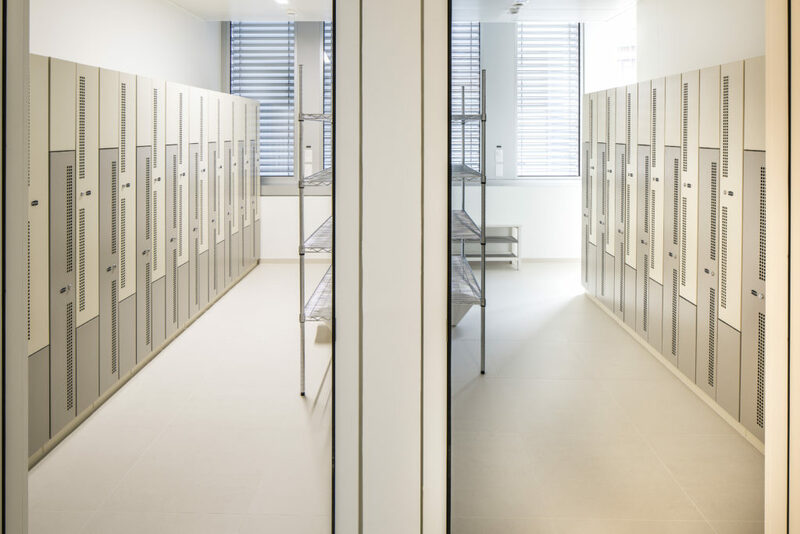 Two spacious cloakrooms adjoin the R-Lab. 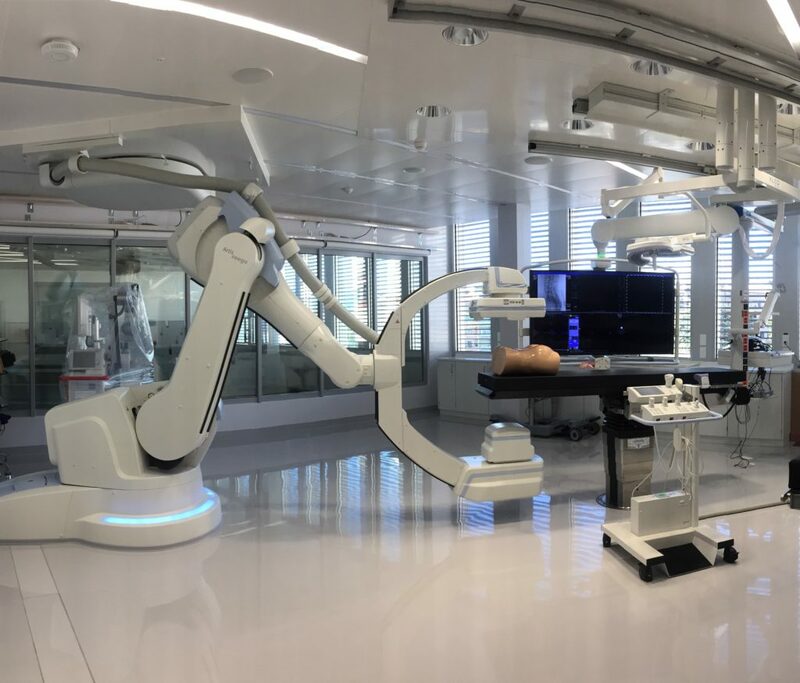 Participants may store their personal belonging into individual lockers and change into surgical gowns for hands-on sessions. 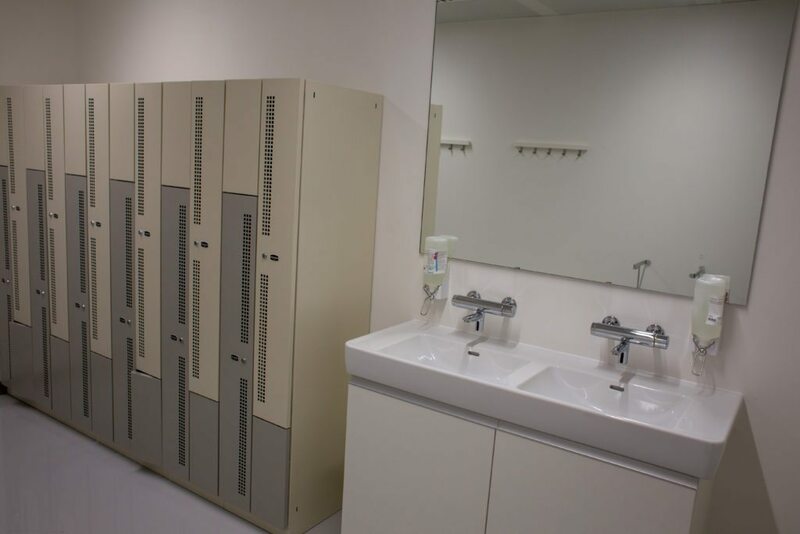 Two spacious cloakrooms equipped with shower and bathroom adjoin the training area. 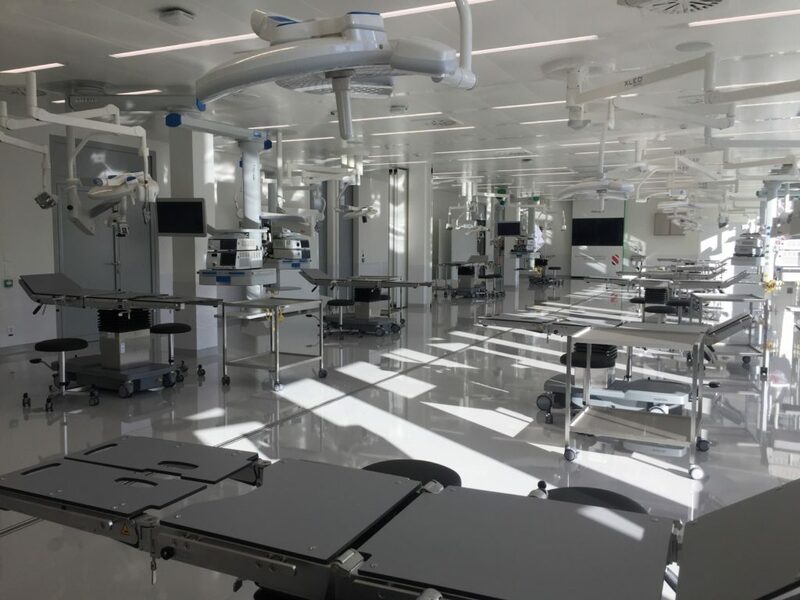 Participants may store their personal belonging into individual lockers and change into surgical gowns for hands-on sessions. 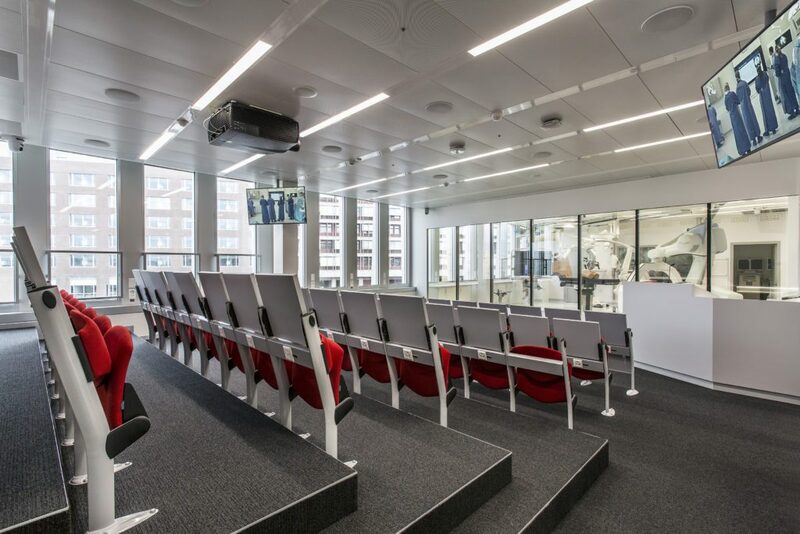 Our entire facility is connected with a high-performance audiovisual routing system, for live transmission or to record courses. 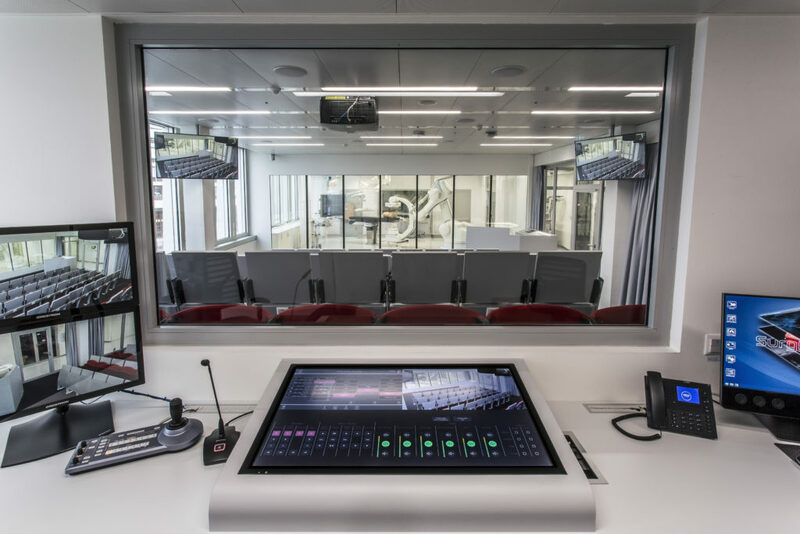 The control room provides a centralized environment to command and manage the audiovisual routing system and all video and sound signals. For security reasons, this room has restricted access.